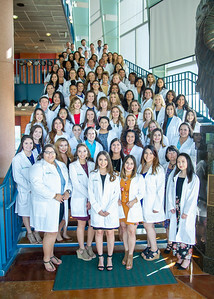 Students from the College of Nursing and Health Sciences were honored on Monday, September 18, during the White Coat Ceremony. 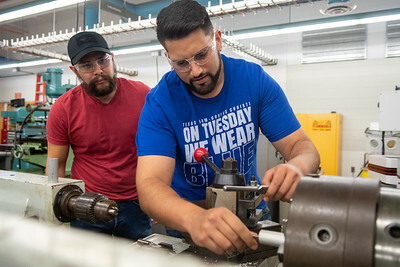 Brandon Hayatt (right) goes over machining a shaft for a lab project with Jeremy Martinez that will be used in various manufacturing processes. 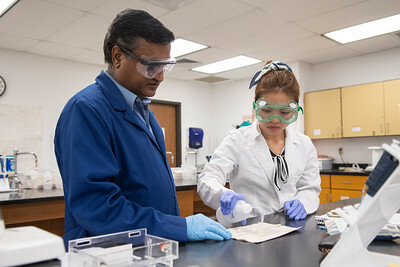 Professor Navendra Narayana (left) assists Nga Tran in applying water to assure that there is no leakage on the slate tray. 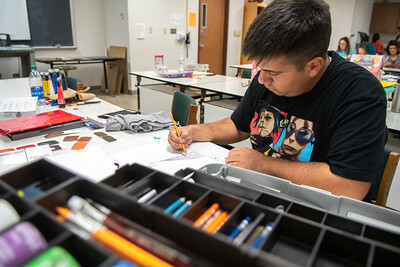 Student Nicolas Garcia drafts a drawing that he will create using complimentary color mixing techniques that he learned during his Painting course. 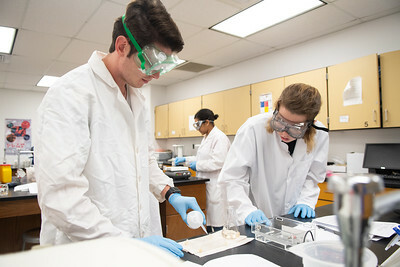 Cameron Stone (left) and Kayla Main Skinner prep their tray to apply an agarose solution in preparation of a DNA visual in Biochemistry Lab. Professor Ryan O'Malley carves out his own design on a wood block to demonstrate different carving techniques to his students during his Printmaking class. 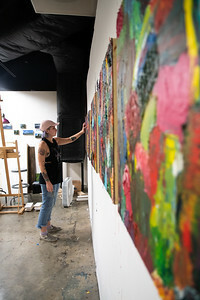 Jade Goldick adds the finishing touches on her abstract paintings that will be featured in the Mary and Jeff Bell Library in mid-November. 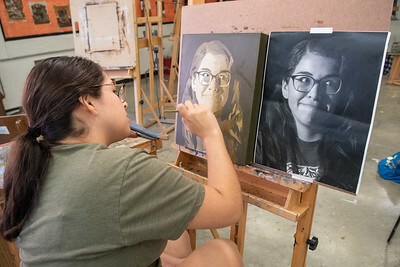 Naomi Martin works on self-portrait on canvas for her Painting II course. 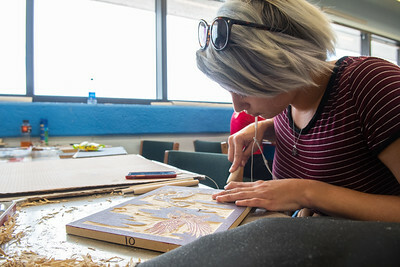 Hannah Stephens carves out a wood block presentation based on the 10th Amendment of the Constitution in her Advanced Printmaking class. 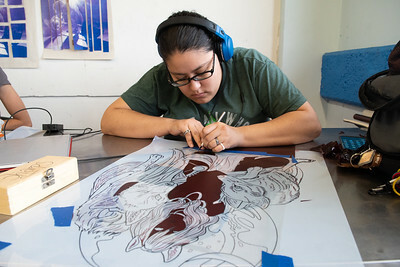 Erika Max cuts away tiny pieces of her screen print design for Professor Ryan O'Malley's Advanced Printmaking course. 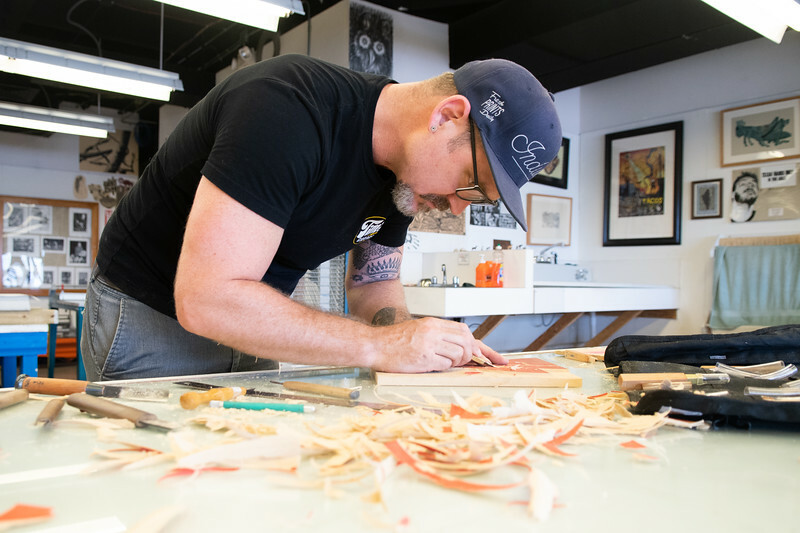 Students enrolled in Advanced Printmaking created wood blocks based on the First 10 Amendments to print on T-Shirts during Constitution Week. 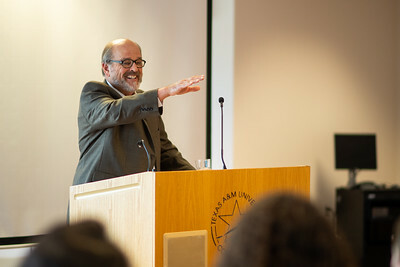 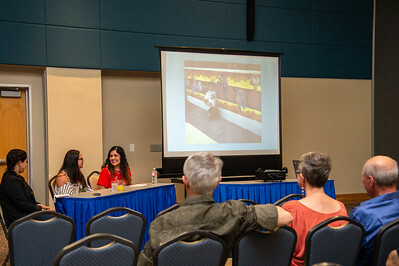 Dr. Thomas Kreneck, former Director of Special Collections and Archives, speaks on the life of Dr. Hector P. Garcia and his legacy as a civil rights pioneer. 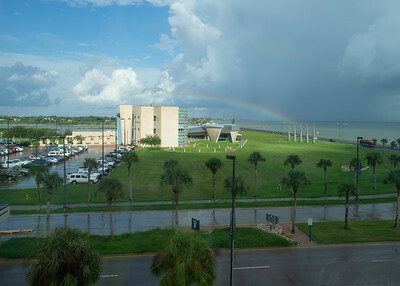 View from the third floor of Tidal Hall. 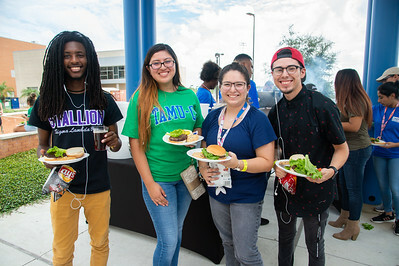 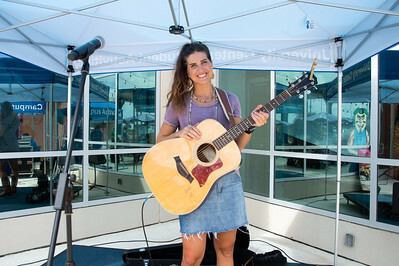 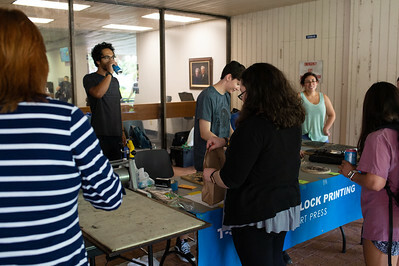 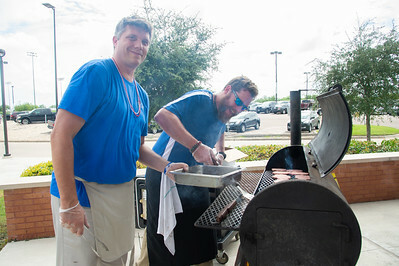 Christopher Tucker (left), Ashley Ventura, Valerie Luniz, and Juan Reyes stop by the All American Red, White and Blue cookout for some burgers at the University Center Sea Breeze Patio. 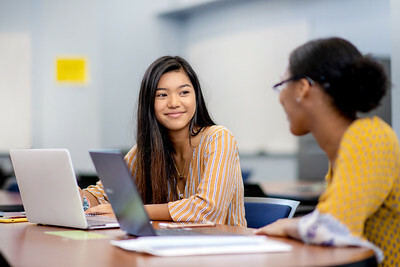 Jen Natiola (left) and Quinneicia Tatum work in tandem on their math studies in the CASA department.